My personal scan from Backgammon Remix. 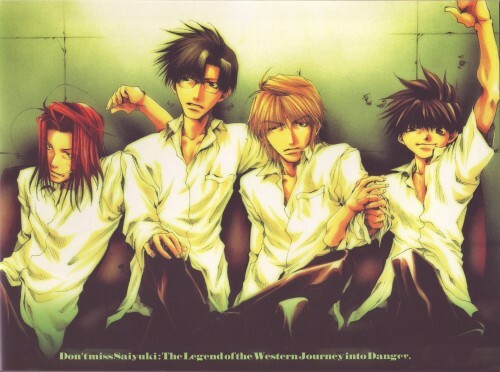 There are a few scans from "old" Backgammon artbooks missing in Saiyuki gallery. I love this group scan! thanks for sharing! Woo-hooo, a whole group in black&white clothes... in suits them :). And youre right about Sanzo :). Thank you for sharing ! Thanks for this! Good quality scan too!